SYNOPSIS – After a photograph of Luc Moretti saving a tourist hits social media, he instantly becomes New York’s most famous and beloved cop. When a major network decides to run a special on the “American Hero,” Luc’s boss gives him no choice but to cooperate in the name of good exposure for the department. Luc doesn’t mind the celebrity status-what he does mind is the gorgeous brunette journalist who’s been assigned to follow his every move. Especially since she also happens to be the same knockout that rejected him rather publicly the week before. Lauren Layne has long been an auto buy for me, the woman can simply do no wrong writing wise in my world. Frisk Me was just another example of this writer’s vast appeal. After her angsty (but never over the top) N/A series Redemption and her fun and flirty Stiletto books New York’s Finest is a chimera of her past work. On the surface it is unapologetically fluffy yet with darker undertones throughout. The Moretti family are all police officers with the exception of Luc’s defense attorney sister. Ava also has a family legacy to live up to, she and her brother and sister all are in journalism. Both are just doing what it takes to succeed in their chosen or predestined if you like careers. Luc is the shining star of the department after he is caught on video rescuing a drowning child. Later being seen giving his coat to a homeless man on the street doesn’t hurt his image any either. Ava is trying to attain the coveted spot of network anchor rumoured to be up for grabs and an expose on “America’s Hero is the story that will get her there. Despite a sizzling initial attraction, one wouldn’t say that these characters like each other over much. Ava cynically believes that despite his protestations that Luc is just another fame hound out for his few minutes of fame. Whereas Luc just wants to do his job and leave the screen shots for others. The nation may think he’s hero but Luc knows he’s not that he failed the one time when he should have come through for his partner. 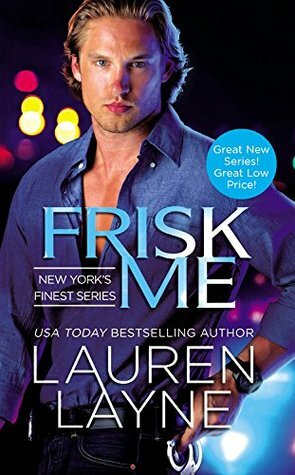 In Frisk Me, Lauren Layne has set the stage for a very entertaining series, complete with a grandmother straight out of a Janet Evanovich novel and a supporting cast of siblings who I look forward to reading about in upcoming installments of New York’s finest. Though Luc and Ava’s story may not have been my favorite Layne novel to date that is not to say that I won’t be waiting in anxious anticipation for the November release of Steal Me featuring Luc’s older brother Anthony and Cuff Me in 2016. If you are looking for a diverting “adversaries to lovers” story then Frisk Me is just the thing. 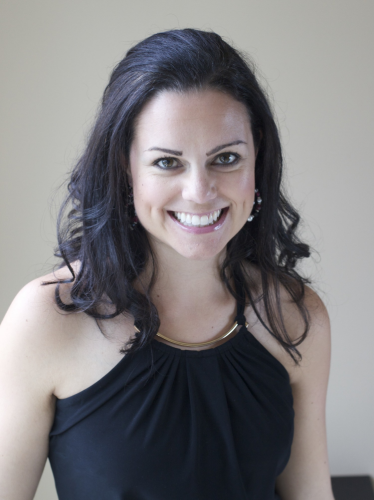 Prior to becoming an author, Lauren worked in e-commerce and web-marketing. In 2011, she and her husband moved from Seattle to New York City, where Lauren decided to pursue a full-time writing career. It took six months to get her first book deal (despite ardent assurances to her husband that it would only take three). Since then, Lauren’s gone on to publish ten books, including the bestselling Stiletto series, with several more on the way in 2015. Previous PostUnexpected by Lilly AvalonNext PostFRISK ME (New York’s Finest #1) – Lauren Layne GET IT TODAY! Thank you so much for reading and hosting!